He might be by himself, but he's never really alone. 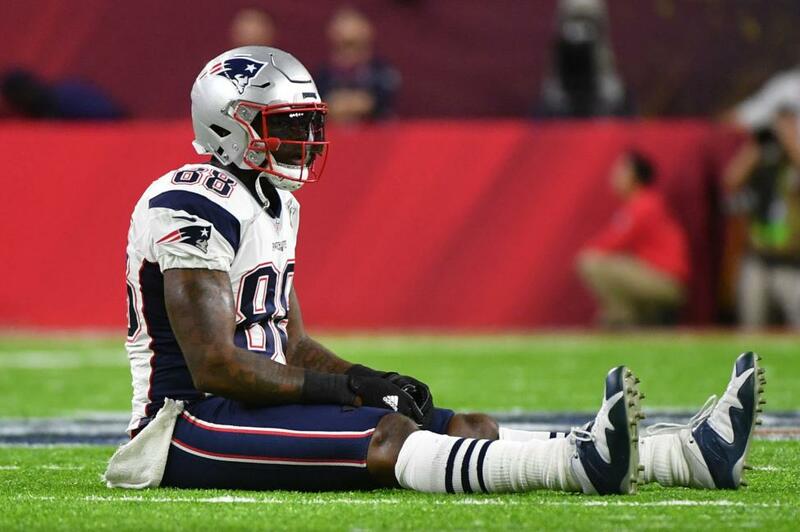 Martellus Bennett has imaginary friends. Kung-fu astronauts and talking Jamaican giraffes consume his mind. They speak to him and spill out onto the pages of his children's books and animated series. The retired NFL tight end reached the pinnacle of success in the league, making a Pro Bowl and winning the Super Bowl. But football was what he "wanted" to do. Creativity is something he "has" to do. Bennett recently released his kids animated series The Fantastical Adventures of A.J. on YouTube. It features the antics of A.J., a 6-year-old African-American girl, and Theo, her anthropomorphic stuffed rabbit, as they navigate worlds created by A.J. 's imagination. A.J. is based on his 4-year-old daughter, Austyn Jett Rose. "A lot of times when I'm sketching and drawing, I'm trying to figure out which person in my head is talking to me, then I try to listen to them and tell their story to the world. I'm just like the middle man of it all. [post_ads]"I blur the lines of imagination and reality all the time. Sometimes I forget what's real and what's not." The series is just one avenue he drives, injecting people of color into adventures as heroes and dreamers, simultaneously adding his own presence to the ranks of authors, animators and illustrators, aiming to inspire black children. "Until [people of color] get the opportunity to write more books and more stories, the stories will continue to be the same way, whether that's film, television, books, technology," Bennett said. "Until there are people that look like us in those fields, we will never see ourselves on the receiving end the way that we would like to." According to the Cooperative Children's Book Center at the University of Wisconsin, Madison's Education School, 9 percent of 3,700 children's books it analyzed in 2017 were about African-American characters and about 25 percent of the books were about people of color. Three percent of those books were written by black authors, while 14 percent were written by people of color. The Centre for Literacy in Primary Education reported that just 1 percent of children's books published in 2017 in the United Kingdom featured a black or "minority ethnic" main character. Nearly 40 percent of the United States' population is of non-white-alone origin, according to the 2017 Census. Bennett owns thousands of children's books in a personal library, with most of the protagonists portrayed as white or as creatures. Bennett, 31, grew up in a Houston community, where he said athletes represented "hope," as they still do today for aspiring football fiends. "That's where we saw the most athletes that looked like us," Bennett said. "Then we believed we could do it. That was a way out. It was a proven method." Now he's working to introduce other possibilities. "You don't get to see a lot of black doctors," he said. "You don't get to see a lot of black people doing tech interviews or a lot of black people doing animation or telling a story about animation so you don't really think about those images happening. When you do see someone, you think that it's an anomaly. So with me and what I do with my daughter, I just try to surround her with imagination. The biggest thing we can do is introduce our kids to possibility." The average NFL career lasts 3.3 years, according to the National Football League Players Association. Bennett said he doesn't know what his daughter dreams of being, but he doesn't care. "My job is just to show her that there are so many things that she can be and that she can do so that it doesn't limit the possibilities." Bennett played in the NFL for 10 seasons alongside teammates Aaron Rodgers, Tom Brady, Eli Manning and other superstars. He made it to the league as a second-round pick by the Dallas Cowboys in the 2008 NFL Draft. He said people look at his 6-foot-6 athletic frame and ask what sport he plays, but playing football was just one of the dreams planted in his "dream field." He says monikers like "stick to sports" and "shut up and dribble" are words used to take voices away from a community and put athletes into a box. "If the eggs were in the bakery, everyone would be confused because the eggs were supposed to be in this section," Bennett said. "Everyone is not meant to be in a section like that. People are more dynamic than products and items or something that you put into one place. Overall, I'm trying to prove to my daughter that you can be more than one thing. You are allowed to dream more than one dream. You are allowed to achieve more than one dream." Bennett had many teammates with skills beyond the football field to prove that point. Marc Colombo, Leonard Davis and Corey Procter had a heavy metal band when they played for the Cowboys. Running back Marion Barber was "dope" on the piano. But not all athletes are willing to step off the gridiron and pursue another dream. "The biggest thing right now I notice about athletes that call me is a lot of fear," Bennett said. "The thing about the athletes that most people don't really realize is that the athlete is really insecure. They are usually very insecure people and that's due to the fact that they are always putting something on display." Bennett said his teammates supported him throughout the years, buying his books, going to his art shows and attending his album release parties. "I've had a lot of teammates support my dreams of being more than what they try to make us be," Bennett said. "A lot of them understood that I wasn't one of the guys as far as an athlete goes. They knew that something bigger was out there calling me." Bennett's series is available on YouTube and Facebook. He also hosts a podcast called the Revenge of the Jocks, which covers topics explaining what it means to be a "creative, activist and culture-shaping world changer." The best compliment he has gotten regarding his entrepreneurial endeavors came when his daughter called him a "genius." "Just moments when I tell her something or tell her a story, she's like, 'Dad, you're are a genius.' I'm like oh, she's 4, so she has not been corrupted by society. If she thinks I'm a genius, I'm pretty damn sure I'm a genius."